Largest drug bust of 2019 at… Olive Garden?? The unlimited soup and salad deal is in fact too good to be true. Have you wondered why your meals at Olive Garden have recently become so prohibitively expensive, even though you only ordered a salad and a water? Turns out you have been chowing down on illegal drugs disguised as olive oil and leafy greens. 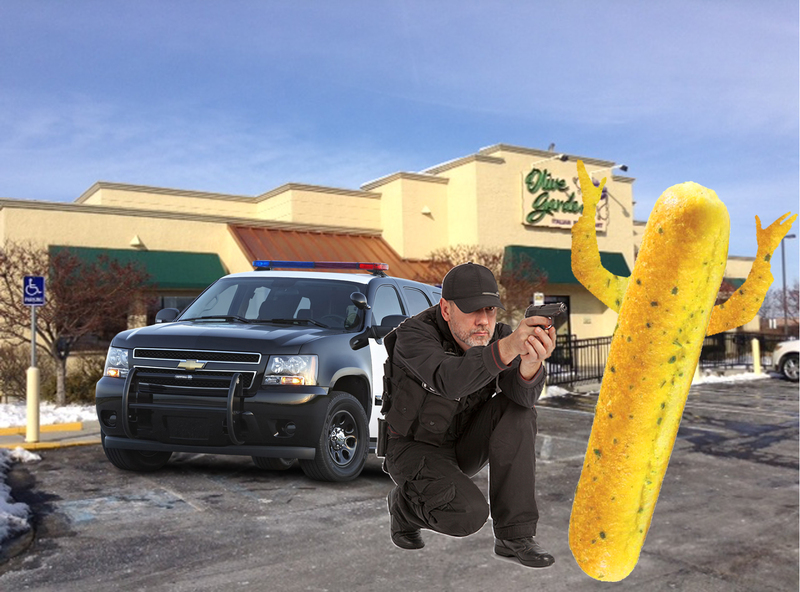 The police were tipped off last Wednesday when a patron was reported chasing squirrels around a local Olive Garden after binge-eating the restaurant’s unlimited soup, salad and breadsticks special. After further investigation, a drug test and an uncomfortably long conversation about the history of nuts, the police concluded that the salad he ate was not what it seemed. The Food and Drug Administration (FDA) was called in for further examination and determined that Olive Garden has been using illegal substances in a variety of their meals. Many ingredients, such as oregano and parsley, are suspected to have been substituted with cannabis. After much speculation and questioning, the restaurant made a statement saying the reason for the substitutions was to “increase business” and “give the customers what they want.” Because recreational cannabis was illegal in many states, it became a delicacy and was hard to come by Because of this, Olive Garden decided to run an underground drug cartel. The famous salad that is usually served before every meal has developed an irresistibly unique flavor that makes many patrons reach for the salad tongs every time. Turns out the original mix featuring classic Italian herbs, such as oregano and parsley, was substituted with crushed cannabis leaves. No wonder people have been going through the breadsticks so fast — they had the munchies!